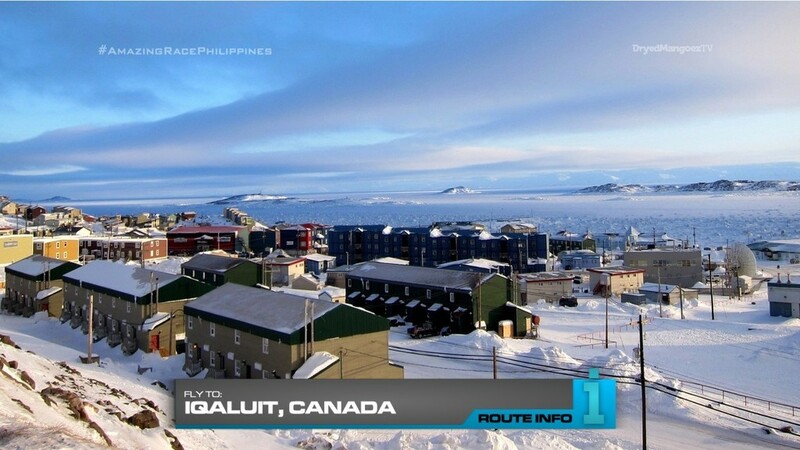 Teams begin the 5th Leg when they learn their next destination is Iqaluit in the Canadian province of Nunavut! 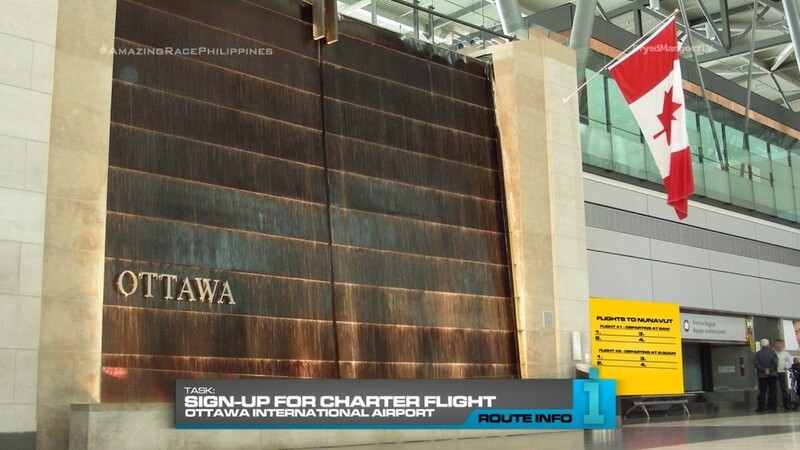 Teams must first fly to Ottawa on Air Canada, arriving at 12:56am. They will search the airport for a sign-up wall where they must sign-up for one of two charter flights leaving for Iqaluit arriving at either 9am or 9:30am. There is room for four teams on either flight. 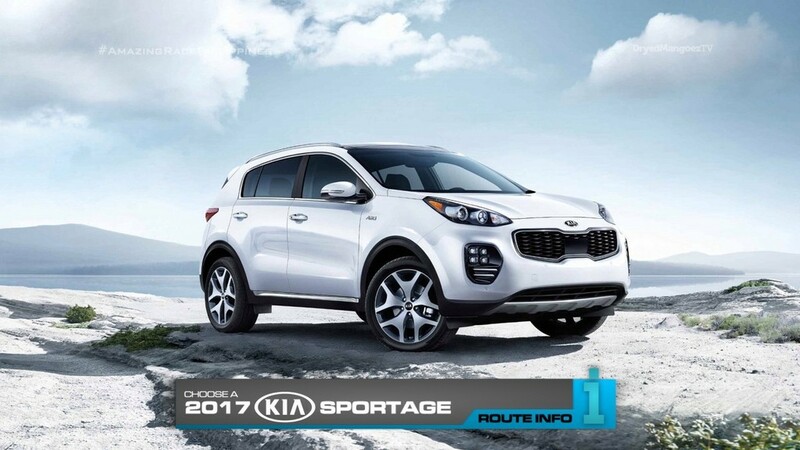 Once in Iqaluit, teams will search the carpark for an all-new, four wheel drive 2017 Kia Sportage. Inside, they will find their next clue. But the clue is written in Inuktitut. 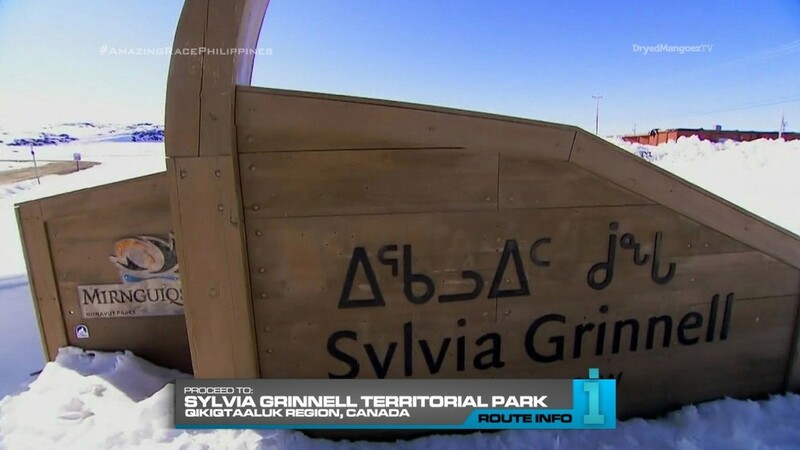 Teams will need to figure out that the clue is directing them to Sylvia Grinnell Territorial Park. Once there, they must locate two throat singers, listen to a performance and receive their next clue. And that clue reveals the Detour: Harpoon Hunter or Igloo Builder. 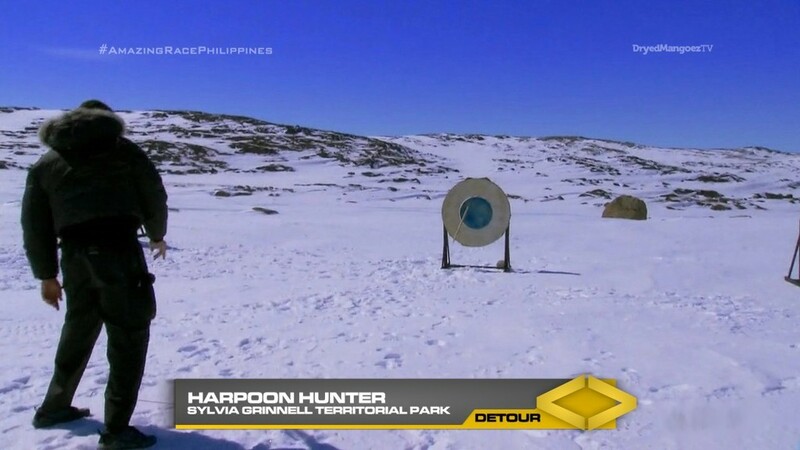 In Harpoon Hunter, one team member must put on snowshoes and pull their teammate on a sled one kilometer across the frozen tundra. They will then each throw a traditional harpoon and hit a target. 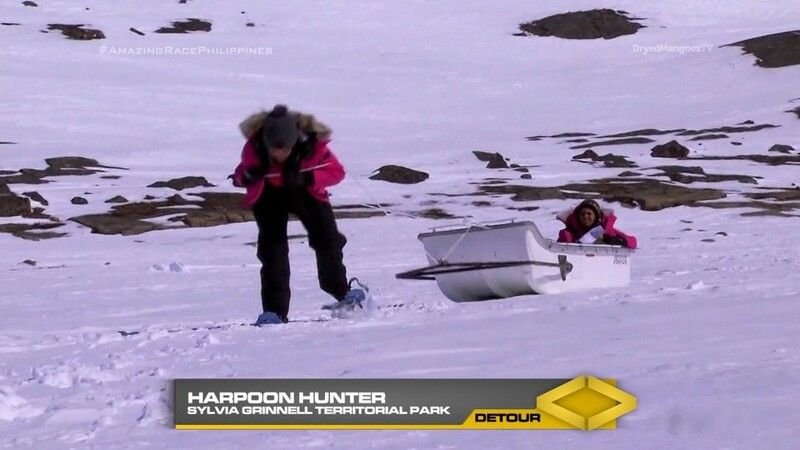 Once they are successful, the other team member must pull the sled back to the starting point to receive their next clue. 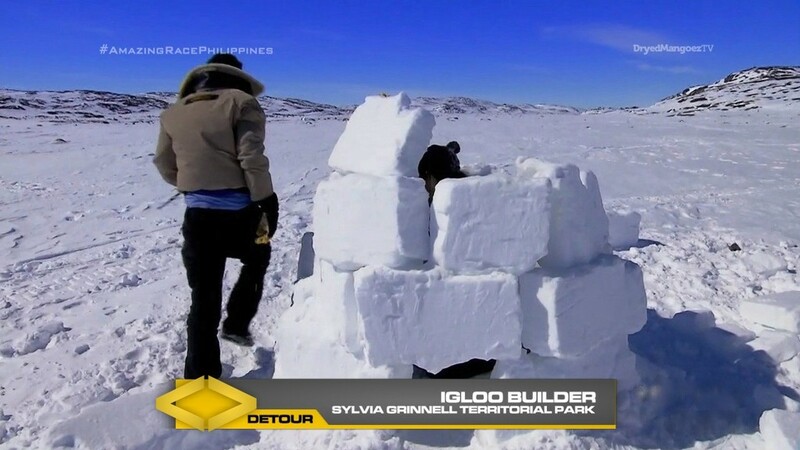 In Igloo Builder, teams must build an igloo using only the tools provided and pre-cut blocks of ice. Once the elder feels the igloo can withstand an arctic night, they will receive the next clue. 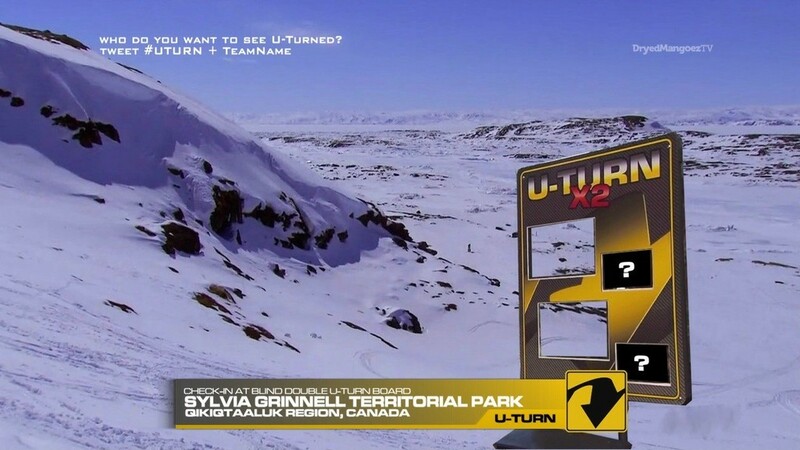 That clue tells teams to find the Blind Double U-Turn board! 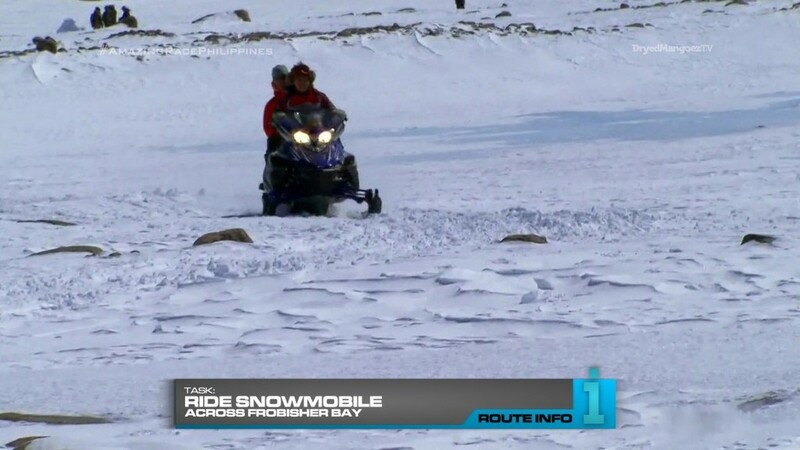 And after checking-in, they can hop onto a snowmobile and make their way across Frobisher Bay. 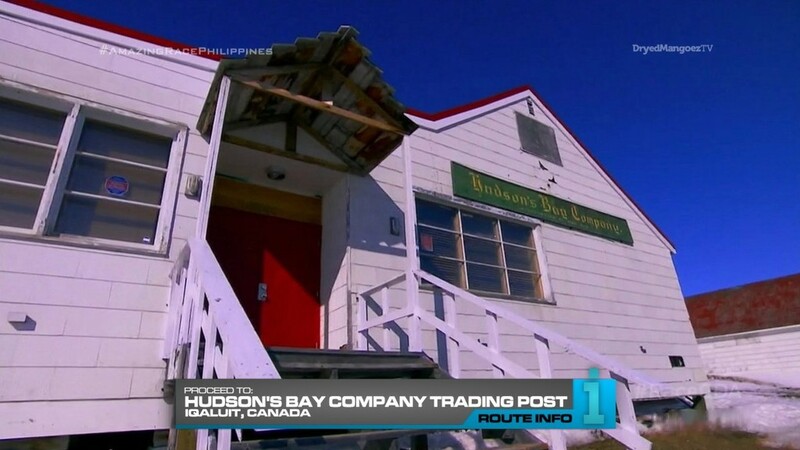 The next clue awaits at Hudson’s Bay Company Trading Post. 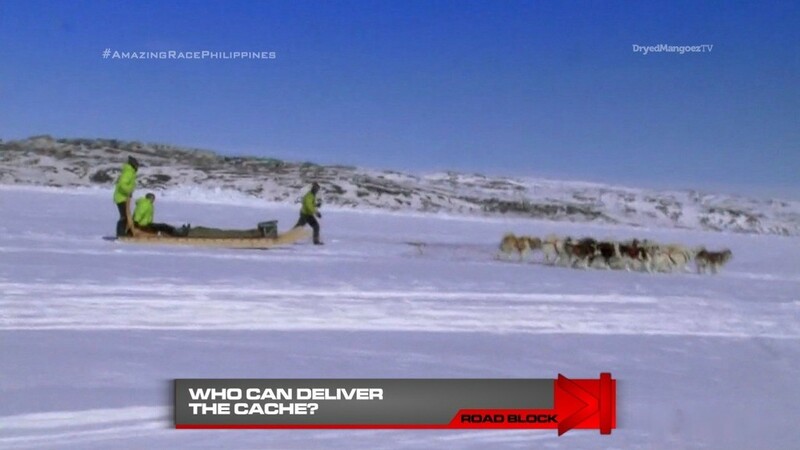 And it reveals the Road Block: Who can deliver the cache? For this Road Block, teams must lead a dog sled team across the bay to retrieve a food cache and deliver it back to the trading post to receive their next clue. Each team member must now eat half a serving (five pieces) of muktuk to receive their next clue. And that final clue directs teams to make their way on foot to this panoramic lookout, the Pit Stop for this Leg of the Race. So this is a recycled Leg from TAR Canada 1. And it’s a solid Leg. Especially for Filipino teams who may not have ever experienced snow before, let alone the freezing cold. It will be a great “culture” and really, “weather” shock moment for the teams and Filipino audience. This Leg uses all the tasks from the original TAR Canada Leg, but with some modifications. There’s a Double U-Turn here. And making it Blind should hopefully encourage teams to use it. A good spot for it too since this is a Non-Elimination Leg. We can only hope this will bring some drama between the teams. The Speed Bump from the original Leg is now the Road Block since it’s always great to feature awesome sled dogs. 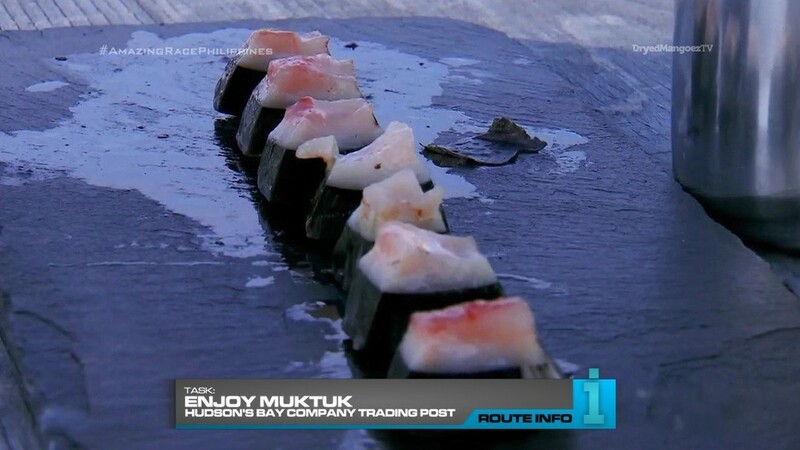 But also so all team members will get to eat muktuk. 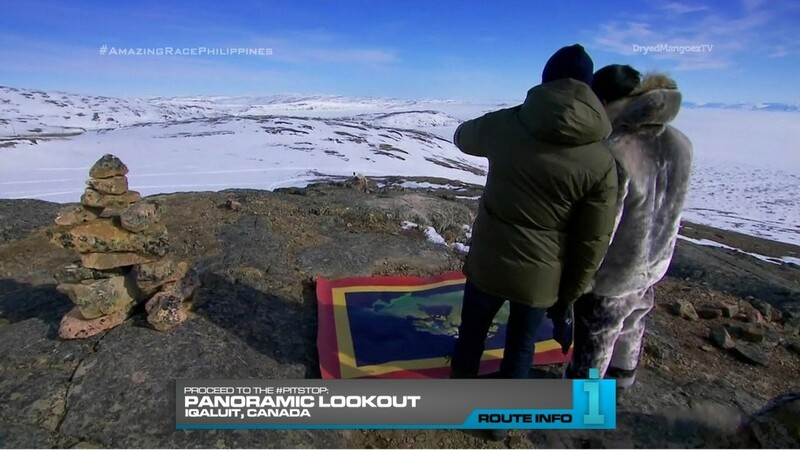 Overall, this has some great potential, especially for TAR Philippines.